Karol Boudreaux was an affiliated senior research fellow at the Mercatus Center at George Mason University. She formerly served as lead researcher for Enterprise Africa, a research project that reported on enterprise-based solutions to poverty in Africa. She also served as a member of the faculty of the George Mason University School of Law, and served on the Working Group on Property Rights of the U.N.'s Commission on Legal Empowerment of the Poor. 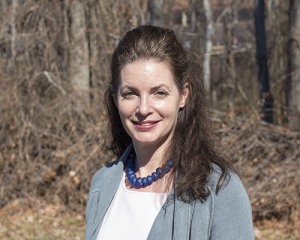 Ms. Boudreaux's main areas of interest include the institutional analysis of property rights, land tenure, natural resource management and, international development. The main focus of her research is contemporary Africa and the ways in which particular institutional arrangements have either helped or hindered human flourishing and economic development on the continent. Ms. Boudreaux currently serves as Africa Land Tenure Specialist at USAID. Before joining the Mercatus Center she was assistant dean at the George Mason University School of Law. Additionally, she taught for four years at Clemson University in the legal studies department after which she served as director of programs at the Foundation for Economic Education in Irvington-on-Hudson, NY. Ms. Boudreaux earned her BA in English literature from Rutgers University (Douglass College) and her JD from the University of Virginia's School of Law.